Annie Joined MMU in 1991, following a career based in London and the Far East, designing and putting into production menswear and knitwear brands, which were manufactured globally. She is Director of Studies for the Department of Design and facilitates links between staff and post-graduate research with taught programmes. She delivers specialist teaching input in knit, menswear and future-scoping to undergraduate and post-graduate students. She is keen to encourage students to embrace creative and challenging approaches to their work, to explore design through materiality, from issue-based perspectives and to instil confidence and independence in an individual’s vision. Gizem Kiziltunali (PhD) A New Semiology of Fashion: Deconstruction. Mark Hammond (PhD)(DOS): industry-based studentship: Design and the age-friendly city) The architect's role in negotiating the democratic city: Exploring the production of urban space through co-housing created with older people. Elena Etheridge (M.Res)(DOS) ‘Pattern making for new fabric joining technologies’. Michelle Stephens (MPhil/PHD) (DOS) AHRC NW Consortium for Doctoral Training Scholarship: ‘Coded Cloth’: Coding as a design tool in the reanimation of pattern archives in contemporary jacquard production. Harriet Litherland (M.Res) (DOS) A product of place: The effect of material and environment on the conceptualisation and production of garments using pre-industrial stranded Fair Isle knitting. Previous research interests have focussed around knitwear and new technology. These research findings are recorded in her PhD thesis: 'CRAFTING THE TECHNOLOGICAL: GANSEYS AND WHOLEGARMENT KNITTING’ (2009). 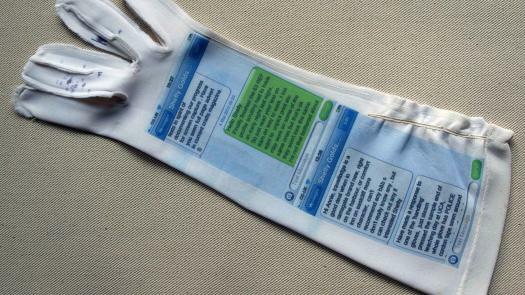 The research is situated in a post-mass-production context and examines hand and machine seamless knitting. It explores through design and craft practice, new ideas for the mass-customistaion of knitted garments using advanced knitting technology. The intention is to add value and promote emotional connection between designer and wearer. The research also focuses on the seamless knitted garments (ganseys) produced by the fishing communities of the North-Eastern Seaboard of Britain. 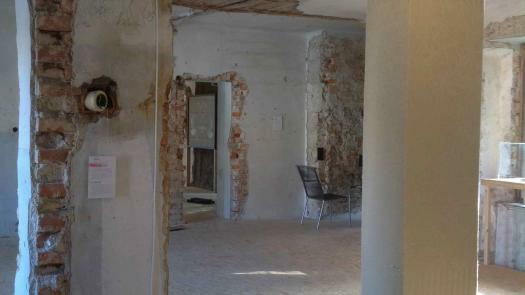 Recent research interests have moved towards enquiry into the concept of ‘SEAMLESSNESS’ broadly within design practice. Annie is fascinated by the spaces we inhabit: garments, rooms, buildings and cities and exploring them through materiality. An Interdisciplinary strategy seeks to expose the potential for the development of new design ideas, systems, products and applications linking materiality and form in diverse design specialisms such as architecture, fashion, interior and product design. As DESIGN RESEARCH GROUP LEADER her role is to facilitate, encourage and develop staff and post-graduate research. The Design Research Centre embraces individual research vision and encourages inter-disciplinary and inter-faculty collaboration. Shaw, A., 2013. PAIRINGS II CONVERSATIONS & COLLABORATIONS’, Contemporary Applied Arts Gallery, Percy Street London., 22 March -13th April 2013. Shaw, A., 2013. 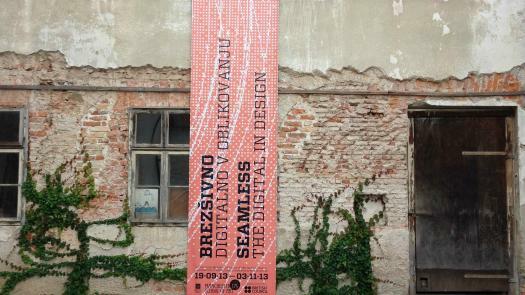 SEAMLESS THE DIGITAL IN DESIGN, NATIONAL MUSEUM OF ARCHITECTECTURE & DESIGN, LJUBLJANA, SLOVENIA (MAO), 20th Sepember 2013 - 3rd November 2013. Shaw, A., Goldsmith, S., 2012. 'PAIRINGS II CONVERSATIONS & COLLABORATIONS', Museum in the Park, Stroud, Gloucestershire, 28th April-27th May 2012. Shaw, A. Alexander, M., Carreducker, Crawford, S.,Easton, S., Fine Cell Work, Ford, F., Godwin, F., Jenkins, K., Matthews, R., Messum, S., Nelson, D., Pemberton, K., Pitt, T., Pymm, C., Robins, F., Twigger-Holroyd, A., White, H., Wilson, D., Wrigg, J.,, 2012. 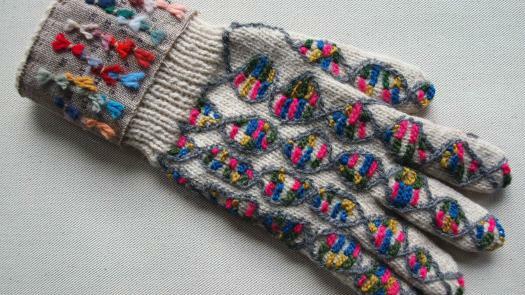 'WOW' (WONDER OF WOOL), Gallery @ Rheged, Penrith, Cumbria, 14th January - 15th April 2012. Shaw, A., Anita Bruce, Adele Bowden, Kandy Diamond, Elizabeth Gaston, Kate Holdsworth, Joanna Jack, Angela Knipe, Stephanie Potts, Deirdre Nelson, Shetland Mirrie Dancers, and Jane Scott., 2011. 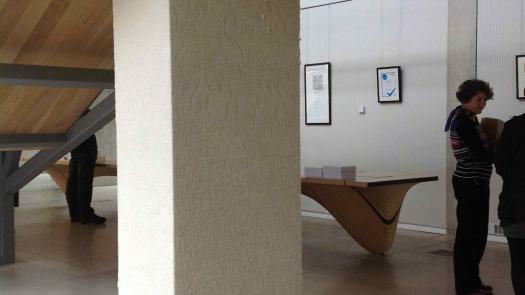 'PURLS BY THE SEA', Belfry Arts Centre, Overstrand, Norfolk, 12-30 August 2011. Shaw, A., 2010. 'EXTRAVAGANSEY', The Scottish Fisheries Museum, Anstruther, Fife, 1st October - 31st December 2010. Shaw, A., 2010. 'SEAMLESS' International Creative Pattern Design Competition, China Academy of Art, 2010 China Cultural and Creative Industry Expo, Hangzhou, China PRIZES: 1.Honorable Award 2. International Award, 13-19 October 2010. Shaw, A., 2010. 'STORMFORCE', Scarborough Art Gallery, Scarborough, North Yorkshire, 1st October - 28th November 2010. Ault, M., Shaw, A., 2018. 'Southbank Undercroft Knitted Columns', Southbank Centre Undercroft, London..
Shaw, A., 2010. 'LOOKING BACKWARDS TO LOOK FORWARDS'. In Jessica Hemmings (eds.) In the loop: Knitting now, 128-131, Black Dog Publishing, London. Jefferies, T., Shaw, A., 2015. 'Semper's Jumper: Hard softness and soft hardness in archi-textile design', Craft Research, 6 (2), pp. 257-274. Shaw, A., 2008. 'WHOLEGARMENT KNITWEAR: NEW WAYS OF MAKING CLOTHES', TEXT: For the study of textile art, design and history, Journal of The Textile Society, Vol. 36: 2008-9, 10-16. Ault, M., Shaw, A., Beecroft, M., 2018. 'New Behaviours in Material Form', Transitions 2: Material Revolution, Huddersfield University, UK., 11/4/2018 - 12/4/2018. Ault, M., Shaw, A., Beecroft, M., 2018. 'The 'Re-fabrication' of Knitted Textile and its Architectural Potential', Advanced Building Skins, Bern, Switzerland., 1/10/2018 - 2/10/2018. Ault, M., Beecroft, M., Shaw, A., 2018. 'Architectonic Textiles', Lancaster University. Ault, M., Shaw, A., Beecroft, M., 2018. 'Architectonic Textiles - The Potentials in the 'Re-Fabrication' of Knit', RIBA Research Matters Conference, Sheffield University. Shaw, A., 2018. 'SEAMLESS SPACES FROM THEN TO NOW', University of Southampton, Winchester School of Art. Ault, M., Shaw, A., Beecroft, M., 2018. 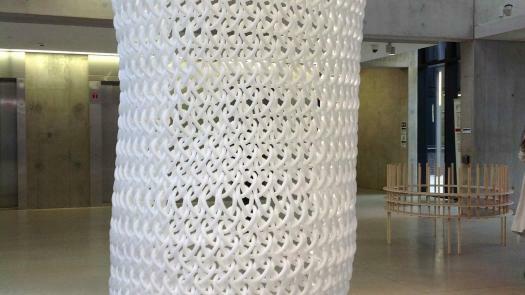 'The 'Re-fabrication' of Knitted Textile and its Architectural Potential', Bern, Switzerland. Ault, M., Shaw, A., Beecroft, M., 2017. 'New Behaviours in Material Form', Huddersfield University. Ault, M., Shaw, A., Beecroft, M., 2017. 'New Kniteriality', Manchester School of Art. Shaw, A., 2014. 'SEAMLESSNESS IN FORM & MATERIALITY: THE SPACES WE MAKE AND INHABIT', Before You're 30. Organised by students of the Manchester School of Architecture., International Anthony Burgess Foundation, Manchester, 1 April 2014. Shaw, A., Jefferies, T, 2014. 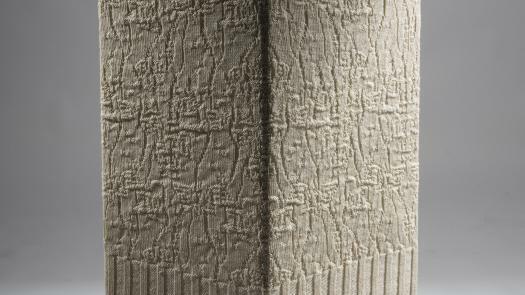 'SEMPER'S JUMPER Hard Softness and Soft Hardness in Architextile Design', TRANSITION: re-thinking textiles and surfaces, University of Huddersfield, 26/27 November 2014, in Conference proceedings. Shaw, A., 2013. '‘CONSIDERING SEAMLESSNES’', The First International Symposium For Creative pattern cutting’, University of Huddersfield, 6/7TH Feb. 2013. Shaw, A., 2012. 'GANSEYS, IDENTITY EMOTIONAL INVESTMENT & DESIGN', IDENTITY,CULTURE & RELIGION IN BRITISH FISHING COMMUNITIES, York St. John University, 28th-29th june 2012. Shaw, A., 2011. 'SEAMLESS OLD AND NEW', GANSEYFEST International gansey symposium organised by the Moray Firth gansey project, Centre for Health Science, Inverness, Scotland., 1-2 October 2011. Shaw, A., 2008. 'WHOLEGARMENT KNITWEAR: NEW WAYS OF MAKING CLOTHES', The History, Production and representation of Knitted Textiles in Scotland, National Gallery of Scotland, Edinburgh, 14th March 2008. Shaw, A., 2008. 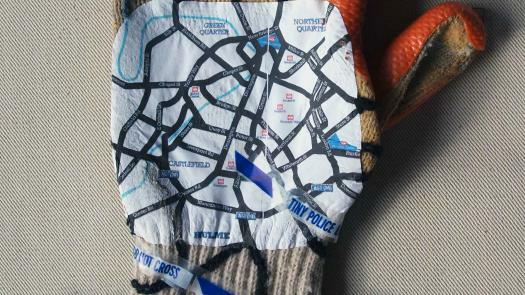 'WHOLEGARMENT KNITWEAR: NEW WAYS OF MAKING CLOTHES', Knitting past, present and Future. In the Loop 2008, Winchester School of Art, 15th-17th July 2008. Shaw, A., 2007. 'SEAMLESS GARMENTS OLD AND NEW (Presentation of PhD research in progress)', Annual Conference of the Knitting History Forum, University Women's Club, London, 3rd November 2007. Shaw, A., 2011. '‘THE GREAT SANDWICH PIC-KNIT’ Captain Cook Memorial Museum, Whitby. Talk and exhibited work'. Shaw, A., 2009. 'CRAFTING THE TECHNOLOGICAL: GANSEYS AND WHOLEGARMENT KNITTING, PhD Thesis'.